Building upon our client’s modern design style, this Dove Canyon remodeling project features elevated versions of classic design materials. The color combination of painted Pearl and Battleship Gray cabinets brings a strong yet flexible design foundation. 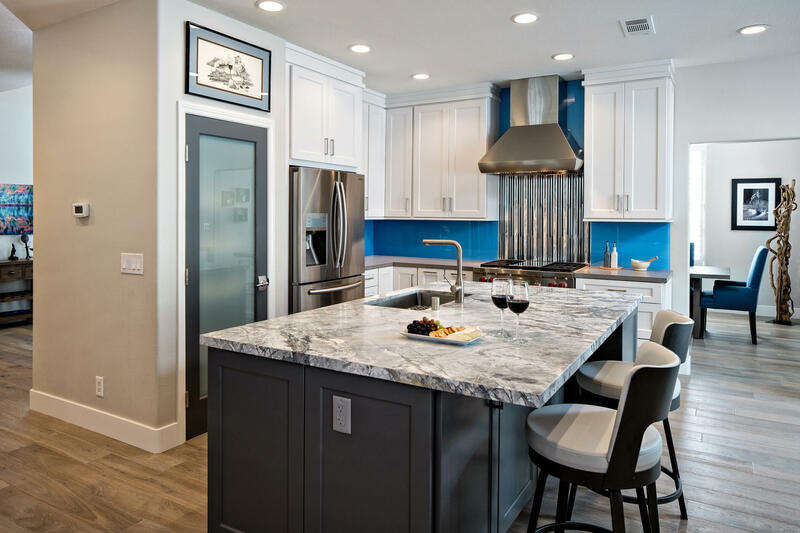 The bright blue glass backsplash is an adventurous focal point when compared to the stainless steel appliances and chrome hardware. Gray quarts perimeter countertops add a layer of style while allowing the leathered, natural stone island countertop to shine. 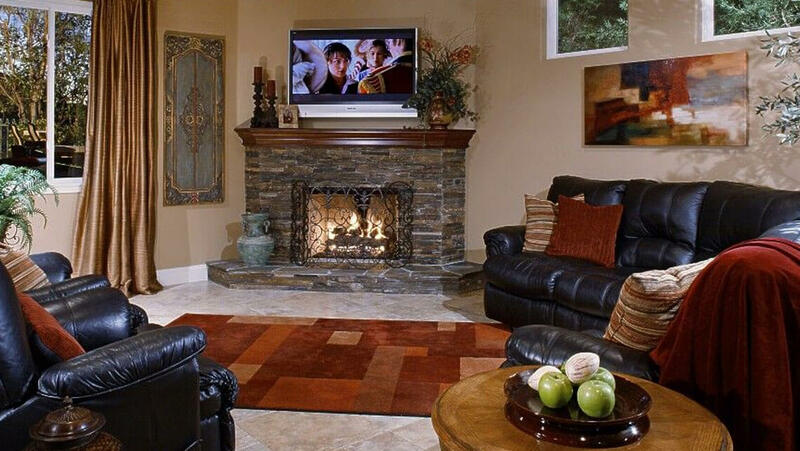 Around the fireplace, Modular Arts material adds depth and texture without overwhelming the space. Consistent with the overall design style, a custom chrome stair rail, built-in wine cooler and a custom wine rack and bar area seamlessly add function to the space.